Tallahassee-Leon Babe Ruth 15U team win the World Series! The 14U team finshed in 3rd place! Updated Thursday October 18, 2018 by TLBR. Tallahasssee-Leon Babe Ruth 15U All-Star team wins the World Series! Tallahassee grabbed the lead in the seventh inning on a suicide squeeze bunt called by manager Brian Kelley and executed by Lawrence Steed to defeat Mifflin County, Pennsylvania and claim the championship. The bunt scored Argene Lynn from third and pushed Tallahassee ahead 5-4. Two insurance runs were scored later in the 7th on a balk and a sacrifice fly. Logan Melvin retired the side in order in the bottom of the 7th and the celebration was on! Tallahassee got things moving in the first inning with a run scoring on a single by the tournament's Most Outstanding Player, Will Brown. Mifflin County countered with a run in the bottom of the 1st. Mifflin County pushed across three more in the bottom of the 3rd on RBIs by Ethan E and Brycen H. Tallahassee evened things up at four in the top of the sixth inning when Brown connected on another clutch single, this one with two strikes and two outs, scoring two runs and setting things up for Tallahassee in the 7th. AJ Thorp started the game on the mound for Tallahassee and picked up the victory. He went six strong innings, allowing six hits and four runs while striking out two. Colby B started for Mifflin County. He allowed seven hits and three runs over five and a third innings, striking out three. Conner C and Casey C also pitched, throwing one inning and two-thirds of an inning respectively. Logan Melvin pitched the final inning for Tallahassee and recorded the save. Tallahassee had ten hits in the game. Brown, Melvin, Hayden Kelley, and Cooper Smith all had multiple hits. Tallahassee was solid in the field and didn't commit an error. August 9, 2018: Defeated (Kelso) Washington 12-2 in pool play. August 10, 2018: Lost to Pennsylvania 3-2 in pool play. August 12, 2018: Defeated New England 3-0 in pool play. August 13, 2018: Defeated California 9-4 in pool play. August 14, 2018: Defeated (Longview) Washington 6-1 in the quarter-finals. August 15, 2018: Defeated Minnesota 5-2 in the semi-finals. August 16, 2018: Defeated Pennsylvania 7-4 in the championship. Congratulations to the Tallahassee-Leon 14U All-star team for finishing in 3rd place in the Babe Ruth World Series! This team was 11-1 in tournament play, with clean sweeps in the state tournament and the regional tournament. That earned the team a second consecutive world series berth (they finished runners-up in Mountain Home, Arkansas last year as a 13U team). This year, they travelled to Eagle Pass, Texas and proudly represented Tallahassee, as well as the state of Florida and the Southeast Region. Once there, they continued their dominance by winning the first 4 games of the world series and earning a #1 seed. In the semi-final game last night, they lost a heartbreaking game to New Jersey by a score of 3-0. The pitcher's duel was tied 0-0 until the 6th inning when New Jersey scored 3 runs and held off the Tallahassee bats. Tallahassee had previously beaten NJ 1-0 in a pool play game. Congratulations again to coaches Mike Harrison, Nick Gray, Kip West and the players for their successes this season. With consecutive top 3 finishes, they will certainly be among the favorites to win the World Series in 2019. August 9, 2018: Defeated Texas 14-8 in pool play. August 10, 2018: Defeated Washington 16-6 in pool play. August 12, 2018: Defeated Connecticutt 11-6 in pool play. August 13, 2018: Defeated New Jersey 1-0 in pool play. August 14, 2018: Earned #1 seed and by through the quarterfinals. August 15, 2018: Lost to New Jersey 3-0 in semi-finals. The Tallahassee-Leon Babe Ruth 15U All Stars won the Southeast Regional Championship game over Orlando, Florida by a score of 13-2. With the win, they advance to the Babe Ruth World Series to be held in Longview, Washington beginning on August 7. A four RBI day for Argene Lynn spells out victory for Tallahassee. Argene Lynn was clutch at the plate with runners on base on Sunday, driving in four on two hits to lead the Tallahassee Babe Ruth 15U All Stars past South Orlando Babe Ruth 13-2 on Sunday. Lynn drove in runs on a single in the fourth and a home run in the fifth. Tallahassee secured the victory thanks to seven runs in the fourth inning. The offensive firepower was led by Ethan Miller, Will Brown, Lynn, Logan Melvin, Cooper Smith, and Hayden Kelley, all driving in runs in the inning. Melvin was on the hill for Tallahassee. He allowed three hits and two unearned runs over three innings, striking out four. Landon Shackleford pitched the final two scoreless innings. #21 toed the rubber for South Orlando Babe Ruth. He lasted two innings, allowing two hits and three runs while striking out one. Lynn hit the long ball in the bottom of the fifth inning to extend the lead to 11 and invoke the mercy rule to end the game and send Tallahassee to Washington. In all, Tallahassee had ten hits in the game. Brown, Jack Sturgis, and Lynn all collected multiple hits. With the 14U team also winning their regional championship on Saturday, Tallahassee will send 2 teams to the Babe Ruth World Series. That feat was last accomplished by Tallahassee in 2009 when the 13U and 15U teams both won their world series. 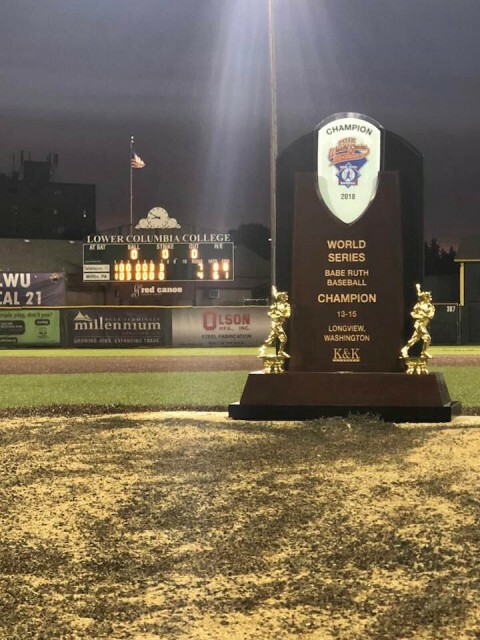 The Tallahassee-Leon Babe Ruth 14U All Stars won the Southeast Regional Championship game over Arlington, Virginia by a score of 11-1 on Saturday evening in Fredericksburg, Virginia. 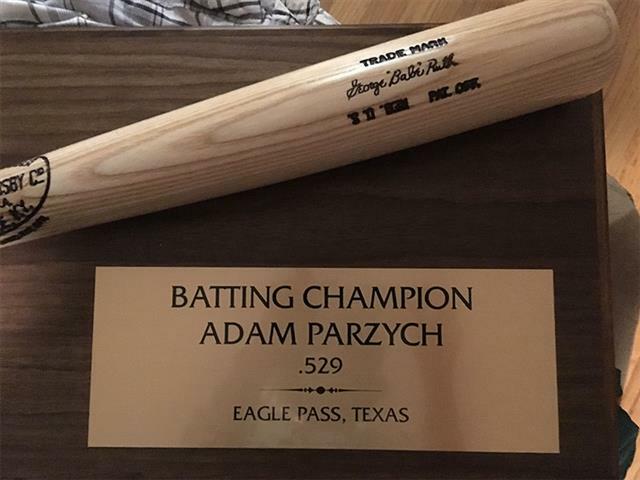 With the win, they advance to the Babe Ruth World Series to be held in Eagles Pass, Texas beginning on August 7. Tallahassee Babe Ruth 14U All-Stars Blows Out Arlington 14U Babe Ruth Allstars Thanks to Big Sixth Inning. A six-run sixth inning led Tallahassee Babe Ruth 14U All-Stars to an 11-1 victory on Saturday. Kerrick Roberts, Jason Strickland, Tyler Ritchie, and Jayce Kirkham each had RBIs in the frame. Tallahassee got things going in the first inning. Kody Ashley hit into a fielder's choice, scoring the first run. Luke Koon earned the win for Tallahassee. He allowed only three hits and a single run over five innings, striking out one and walking one. Tristan Turner threw one inning in relief out of the bullpen. Turner recorded the last three outs to earn the save for Tallahassee Babe Ruth 14U All-Stars. #20 took the loss for the Arlington 14U Babe Ruth Allstars. He lasted three and a third innings, allowing five hits and four runs while striking out one. Tallahassee had 12 hits in the game. Kirkham, Roberts, Tag Williams, and Jaxson West each racked up multiple hits. Kirkham led with three hits in five at bats. Tallahassee didn't commit a single error in the field. Noah Gelabert had the most chances in the field with seven. In 2017, many players on this team played in the World Series in Mountain Home, Arkansas and finished in 2nd place. They will have the chance to claim the ultimate prize in Eagles Pass, Texas in August of 2018. The Tallahassee-Leon Babe Ruth 15U All Stars won the Florida North State Championship game in a pitcher's duel over Melrose 3-1 on Sunday in Tallahassee, Florida. With the win, they advanced to the regional round to be held in Longwood, Florida on July 24. Both teams were strong on the mound Sunday, but Tallahassee defeated Melrose 3-1. Tallahassee's pitchers allowed just six hits to Melrose. Tallahassee fired up the offense in the first inning. Will Brown doubled on a 0-2 count, scoring one run. Cooper Smith was on the pitcher's mound. He went four and two-thirds innings, allowing zero runs on four hits, striking out five and walking one. Osteen was on the mound for Melrose. He surrendered three runs on eight hits over six innings, striking out six. Tallahassee racked up eight hits. Brown and Hayden Kelley managed multiple hits. Brown went 3-for-3 at the plate. Williams led Melrose with two hits in four at bats. Melrose was sure-handed and didn't commit a single error. The Tallahassee-Leon Babe Ruth 14U All Stars won the Florida North State Championship game over Ft. Caroline 14-2 on Friday in Tallahassee, Florida. With the win, they advanced to the regional round to be held in Fredericksburg, Virgina beginning on July 24. An eight-run third inning led Tallahassee to a 14-2 victory on Friday. The big inning was thanks to a walk by Noah Gelabert, a single by Jaxson West, a sac fly by Kerrick Roberts, a hit-by-pitch on Jayce Kirkham, an error on a ball put in play by Kody Ashley, and a double by Adam Parzych. Tristan Turner toed the rubber for the Tallahassee-Leon Babe Ruth 14U All-Stars. He surrendered two runs on three hits over four innings, striking out two. Tallahassee scattered 13 hits in the game. Tag Williams, Turner, Parzych, Kirkham, West, and Gelabert each collected multiple hits. Williams led with three hits in three at bats.